Welcome back to the Rock Report, the revived monthly newsletter for Industry in TEST Squadron. The game is more stable and playable now, than it has ever been, which is one of the reasons why this is being brought back. 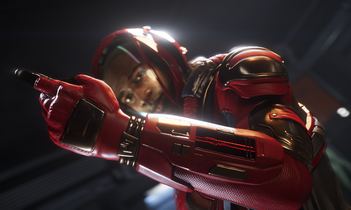 If 2018 was the Year of Progress for Star Citizen, then 2019 should be The Year of Content. TEST Squadron will be gearing up this year and getting more organized in preparation for mechanics coming down the pipeline in Star Citizen, as well as the Stanton System expanding out to Arccorp and Microtech. Furthermore, expect regular weekly events this year, now that the game is in a more playable state. They won’t always be Industry related but they’ll always be done with the goal of having fun in mind. If you’re just now returning or have been around you know that the TEST Forum got an upgrade a while back and the Groups section was no longer compatible. All content however was saved by @SeungRyul before this upgrade took place but the developer of that Group plugin has not updated it to work with the new version nor are they expected to update it. As it stands, that Group Forum and its content are essentially gone and not coming back. That means that the old Rock Reports are gone, the writings, etc and this is a start from scratch. However, the essential writings of Rock Raiders such as the Goals, Mission, and Purpose were always kept backed up off site and will be reintroduced over time as this year goes on. For now, this forum will serve as the old one did for Rock Raiders discussion. With 2019, the directive has come down from on high, more events are to be held to get more of TEST involved. To that end, and to also get better organized, Rock Raiders will be hosting weekly events on the weekends. Now previously, Rock Raiders promised to have these, but interest petered out after a couple of weekends. A commitment has been made this year that, barring illness or unfortunate circumstances, events will happen every week. These events will serve several purposes. 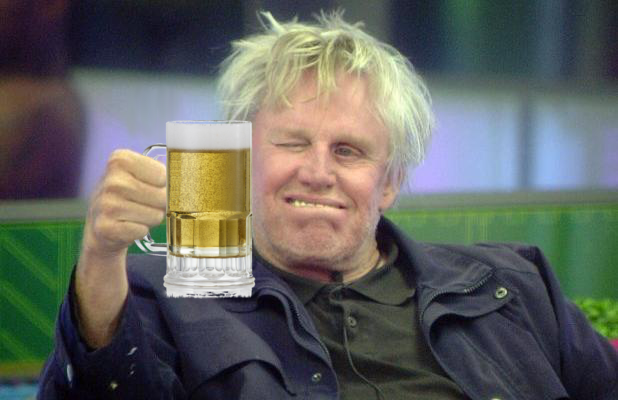 The first reason being; to have fun playing Star Citizen. The second is to build team spirit and also begin to search out people that can be trusted to take the reigns for smaller group ops or fleet detachments later on when we have larger fleets. Third, it’s to make some money to purchase items. Finally, these events are to gather data. Anything from reaction times, to vulnerability of assets in specific areas, is something that needs to be known in order to provide enough defense for an operation. To gather this data, mock attacks and flybys will be done to gauge how quickly a group can react and what can be done to prevent losses. These scenarios will vary for each event but no destruction of ships is intended unless specifically called for and people willingly donate their ships to be destroyed to TEST(get it?) out things. Red Rover will be returning occasionally along with Demolition Derby with Cyclones and Greycats. A lot of this hinges on how quickly a party can be formed at the menu before the leader loads into the game with everyone. To accommodate that, it would be preferable if people were online and in the Discord channel 15 minutes before the actual event start in order to add contacts and party invites can be sent out. However, people will not be turned away unless the party has already launched the game and is about to set out. Tl;dr: Weekly events have been committed to to be organized, Come join, have fun. Thread here that will be updated weekly. 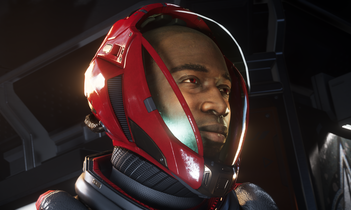 The TEST Squadron Mining Guide was published November 30th, 2018 after having been in the works for a month. Special thanks to @Printimus for his help in editing it for clarity. The Guide currently takes into account what is available in the game for Mining. The Guide will be updated as needed, going forward when CIG makes changes and improves the way Mining works. Those in TEST who have read the Guide have generally praised it and several have indicated it helped them get started with the profession. If you have any questions or comments, please post them in the linked thread. This could mean one of a few things. First it could mean that Salvage is out for this year completely as they focus all efforts toward Squadron 42. This is the worst case scenario because Repair and Refuel is still on the roadmap for 3.6. It can be debated whether or not these are just as or more important than Salvage. Secondly, the postponement of Salvage for 3.5 could mean it’ll show up in 3.7 or 3.8 this year. If that is the case then it could mean they wish to pair the mechanic with the starter profession ship which is the Vulture and release both at the same time. 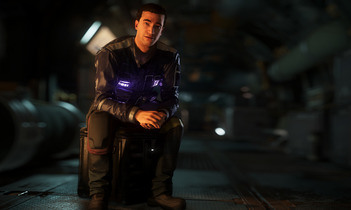 Third, it could mean that CIG needs a lot more time internally to schedule and bring the Reclaimer online in its full capacity. This would mean gameplay such as drone operation, onboard processing and more would need to be put in place for the ship to function in its intended role. Whatever the reason, at the time of this Report, Salvage is no longer on the immediate horizon. 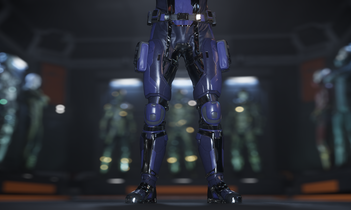 Improvements are coming but at this time, don’t mine from Hurston. Time to orbit and reentry, elevator and transit travel is too long to see any good return on your time. Base in Olisar, GrimHex, or Levski. Primarily Mine in asteroid fields so there is no atmosphere whatsoever to hassle you. Surface mining is good as well but will slow you down as you must go through the atmosphere. It also drains your fuel tank unless you always fly in VTOL. Only mine high percent rocks that have minerals on the mid to high range of the rarity scale. Only extract rocks which have 25% or greater concentration. For further reference, consult this chart: https://docs.google.com/spreadsheets/d/1TiOqBkVpKcilNz3YzZYIruI4dYM-wN59shvwj_J41oo/edit#gid=1283530134 No credit is taken for this chart, it was found on the Star Citizen subreddit which is an excellent source for information. It was confirmed recently on Spectrum that quantum distance would be changing at Hurston and at least the entry to Lorville would be significantly shortened. 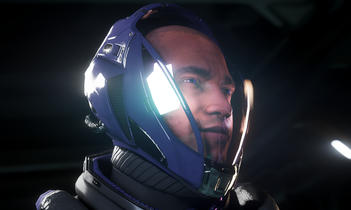 If exit time from Hurston is also reduced by moving the altitude to initiate quantum travel closer to the surface then Hurston will become much more viable as a base of operations for miners. 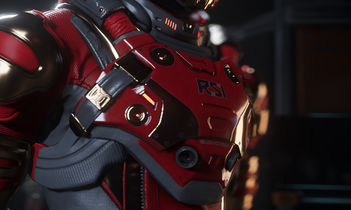 Ideally though a space station should be put in orbit of Hurston that allows for the selling of ore.
With this Rock Report there is a bit of a contest, a word find. The first person to complete this by finding all the words and phrases(including a secret one) will be able to choose from a set of red or purple Subscriber armor donated by @DirectorGunner and @Black Sunder. 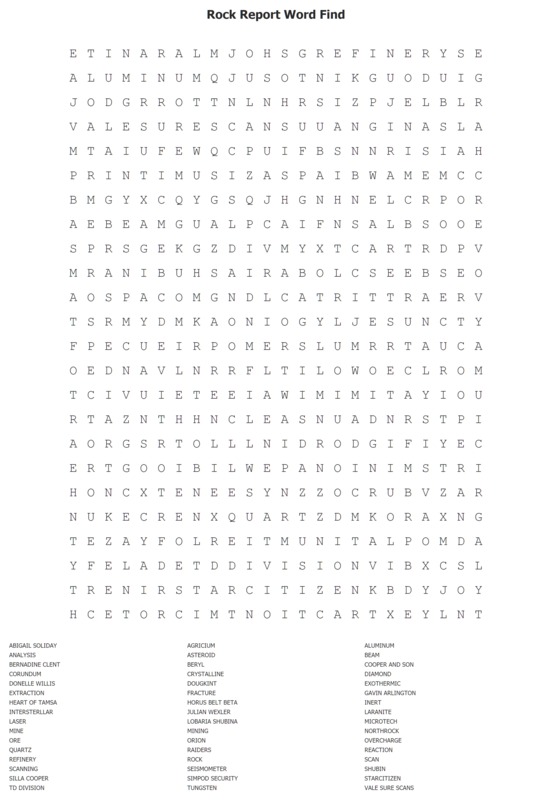 To submit your entry with all the words found, simply upload or link the completed puzzle in this thread. It will be checked over and a determination made if it has been solved. 2019 is starting out a good year for Star Citizen and by extension, TEST Squadron. A Roadmap update to fill in 3rd and 4th quarters is scheduled to be done soon™. While combat as a broad profession will always be worked on for the game, 2019 should see more non-combat professions introduced and/or fleshed out. In 3.6 the first versions of repair and refueling will be added giving a new dimension to the game and new areas to make money for enterprising individuals willing to take the risk. Until next time, see you on Sunday for some Mining action.Take care. I should note that the picture for the word find prints perfectly well on a sheet of paper if you wish to do it that way and then scan it in to post your entry. I found printimus, but was wondering if that was it, since the way Sunder phrased it suggested it was a secret phrase and not a word. That only leaves one word left to find. Thanks! Edit: Found that one as well. Edit2: Also found "prospector" in case there was a secret word as well as a phrase. You forgot some. Also NSA!!! Yeah, I just decided to ignore all 3 three letter words, since those are likely to be random. I thought about making an exception for "ale" though. And I can't believe I missed platinum. I'm surprised how quickly everyone solved this! This means.. I'm gonna make the next one so damn hard it'll make people cry! and one honey pot obvious phrase which was not a secret. Everyone knows @Printimus is a spai lol <3 It was a trap! Called Platinum Tier Protocol Updates, but that was too big to fit..
such as nuke.. which is a funny odd coincidence as I have been playing FO76... weird. There was also prospector as a bonus which I'm glad everyone found! So... @Szioul was the first to post however was missing the secret challenge phrase. With a complete result, bravo! Do note, this means the next one will be much much much much harder... muahahahaha! Congrats @Sraika for the winning entry, you get to choose a full subscriber set of armor in either Red or Purple. Cool. I guess I'll go red. Thanks! We'll do another puzzle in a couple months or so. Sorry man, you're in the friends zone for me.